Please note we are experiencing technical issues with payments at the moment. You can submit your application and submit the £400 security deposit payment now, however the £100 booking fee will be charged to you once you receive your GradPad portal log in details from the GradPad Team. The largest room option, our Deluxe Premium Studio is the most luxurious studio type in Griffon Studios. All Deluxe Studios are located in Block C, floors 0 - 5. Each one includes a Three Quarter Bed (190 cm x 120 cm), sofa, dining table and study area. 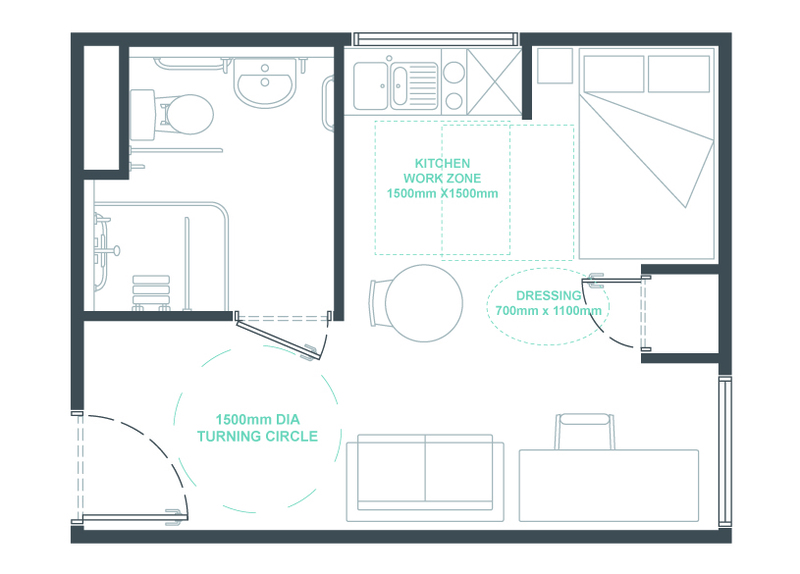 If you'd prefer to share, you can choose to live in a Deluxe Studio with a friend or partner. Please note we are experiencing technical issues with payments at the moment. You can submit your application and submit the £400 security deposit payment now, however the £100 booking fee will be charged to you once you receive your GradPad portal log in details from the GradPad Team. The largest room option, our Premium Studios make a comfortable home away from home. Each one includes a Three Quarter Bed (190 cm x 120 cm), sofa, dining table and study area. If you'd prefer to share, you can choose to live in a Premium Studio with a friend. Please note that studio layouts do vary, however sizes are consistent. Please note we are experiencing technical issues with payments at the moment. You can submit your application and submit the £400 security deposit payment now, however the £100 booking fee will be charged to you once you receive your GradPad portal log in details from the GradPad Team. 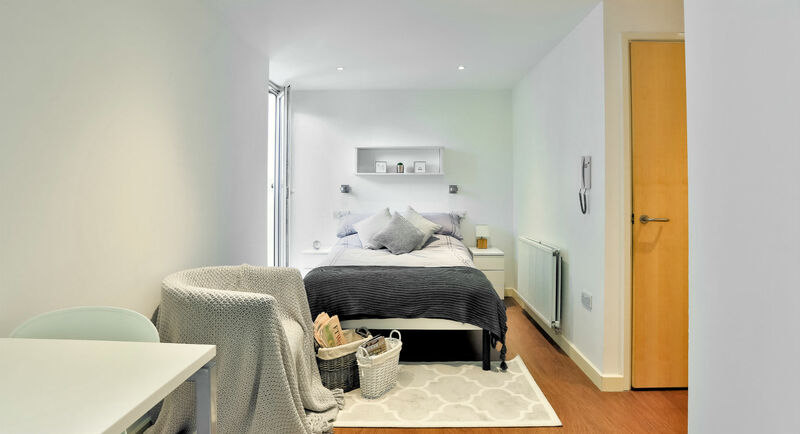 The largest room option, our Premium Studios make a comfortable home away from home. 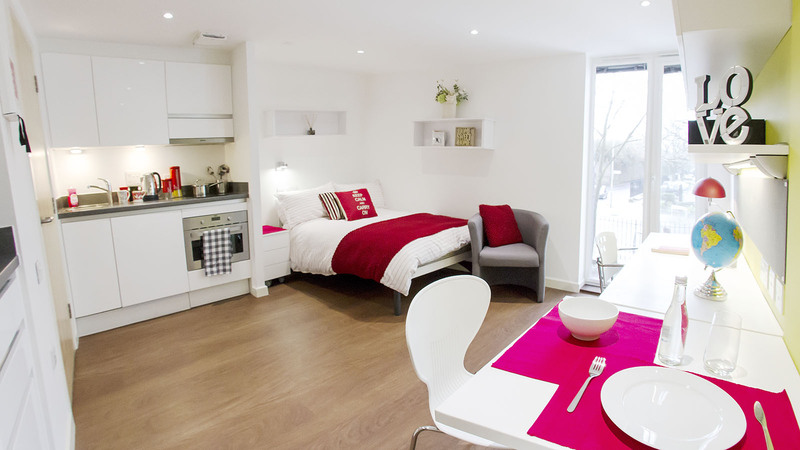 Each one includes a Three Quarter Bed (190 cm x 120 cm), sofa, dining table and study area. If you'd prefer to share, you can choose to live in a Premium Studio with a friend. Premium Lower Level Studios are located on floors 1, 2, 3 and 4. 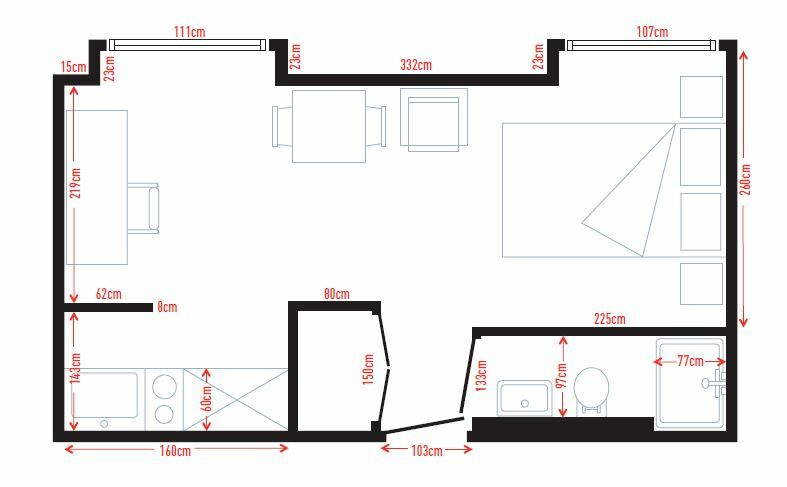 Please note that studio layouts do vary, however sizes are consistent.